Despite the rather impressive results, East of the Wall's 2010 sophomore album, Ressentiment, found the band grappling with numerous novel sonic textures and the use of actual vocals for the first time, new challenges that did not seem to phase them in the least, mind you, until its formidable 2011 successor, The Apologist, arrived to put it in its place. Seriously, the New Jersey group's creative growth during the span of this brief one-year period has been nothing short of remarkable, quickly rewarding the faith shown by both early adopters and the Translation Loss label with an even more seamless realization of their progressive metal vision. 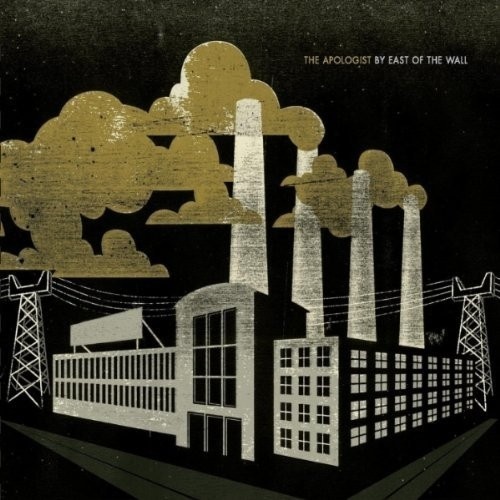 In a genre saturated by chaotic blends and simply reckless experimentation, East of the Wall's new material truly stands above the fray, with standouts like "Linear Failure," "False Build," and "Whiskey Sipper" no longer prone to the same extremes of light and shade, unnecessarily protracted song lengths, and tentative vocal integration as prior offerings. For their part, recurring instrumentals like "Precious Memories" and the frantic tandem of "Running Tab of Sweetness" and "Horseback Riding in a Bicycle World" hold their own alongside the above, without devolving into interlude status. Even the title track's momentary travails with metalcore and post-metal must be forgiven amidst the fluid Eastern melodies surrounding them and some of the most forceful and inventive bass guitar contributions this side of Intronaut (spread throughout the album courtesy of Brett Bamberger). In the end it all adds up to one of the most impressive and validating displays of progressive ambitions likely to be heard in 2011, and makes The Apologist a virtual gauntlet to be picked up by all those who would challenge East of the Wall's newfound dominance in this competitive field.